SSPDL Limited (formerly Srinivasa Shipping and Property Development Limited) is a leading Infrastructure and Real Estate development company in South India. 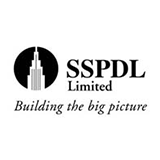 Established in 1994, SSPDL Limited a listed entity on the Bombay Stock Exchange with its Registered Office in Hyderabad. SSPDL Limited is promoted by a renowned first-generation entrepreneur Mr. Prakash Challa. SSPDL Limited, an ISO 9001:2000 certified company, is primarily developing Commercial (IT Parks, Shopping Malls, Hotel Projects, Service Apartments etc) and Residential properties (Gated Communities, Villas, Apartments and Serviced Plots) all over South India for more than 15 years and has been setting standards in the Construction Industry. Building a reputation for ethical practice and developing properties that have become landmarks. Projects that go beyond construction, to create quality lifestyles in tune with customer needs and in harmony with nature. Today, SSPDL is executing own projects spanning 11 million sq. ft. all over South India through the flagship company and SPVs. In 2005, SSPDL recognized the need for strengthening the Construction Contracting division, and accordingly have taken steps to execute all our projects in-house. Having achieved quality levels, SSPDL is geared up technically to take up Construction Contracting from Third Parties. Due to the huge requirement of diversified business segments, SSPDL’s vision is to have separate verticals for Construction Contracting, Infrastructure, Facilities Management, Hospitality and Logistics besides the Real Estate division.